The word "equinox" originates from Latin aequinoctium (equal nights), giving some the impression that night and day are equal lengths on the equinox. Yet, if you check the sunrise/sunset tables in any reputable almanac, you will find that the true days of day-night equality always fall just before the vernal equinox. In NYC, March 17, 2016 (Saint Patrick's Day) was the true equinox, with day's length at 12 hours, 0 minutes. On March 20, day's length is 12 hours, 8 minutes, enough spare daylight to plant a few peas and water that languishing pothos. Or, perhaps to make a salad dressing. In astronomy, an equinox refers to an event in which the Earth's equator passes through the center of the Sun. This equal division leads some to conclude that this will allow a raw egg to stand on its end. Depending on who you ask, this magical occurrence happens at the exact time of an equinox or within a few hours before or after. However, with the right egg, a little patience, and plenty of practice, you can perform this feat any day of the year. Eggshells are rife with tiny bumps and craters — it's these imperfections, not the Earth's axis, that help to stabilize the egg. Vernal equinox or not, it goes without saying that spending the morning attempting to balance an egg on its end is a fool's pastime. Better to have that egg for breakfast. 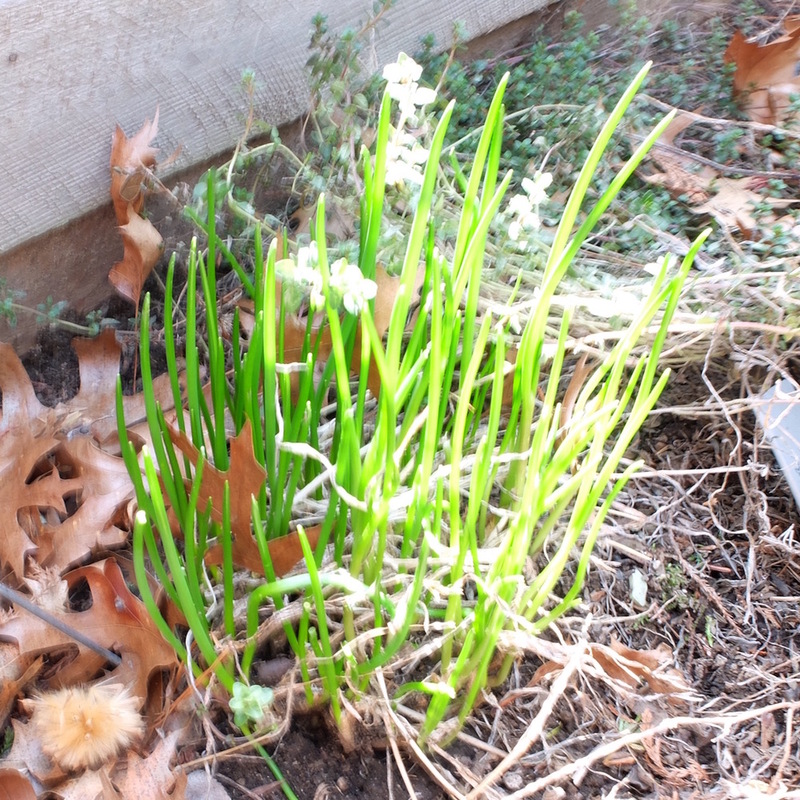 Common chives, making a very early appearance on March 19. 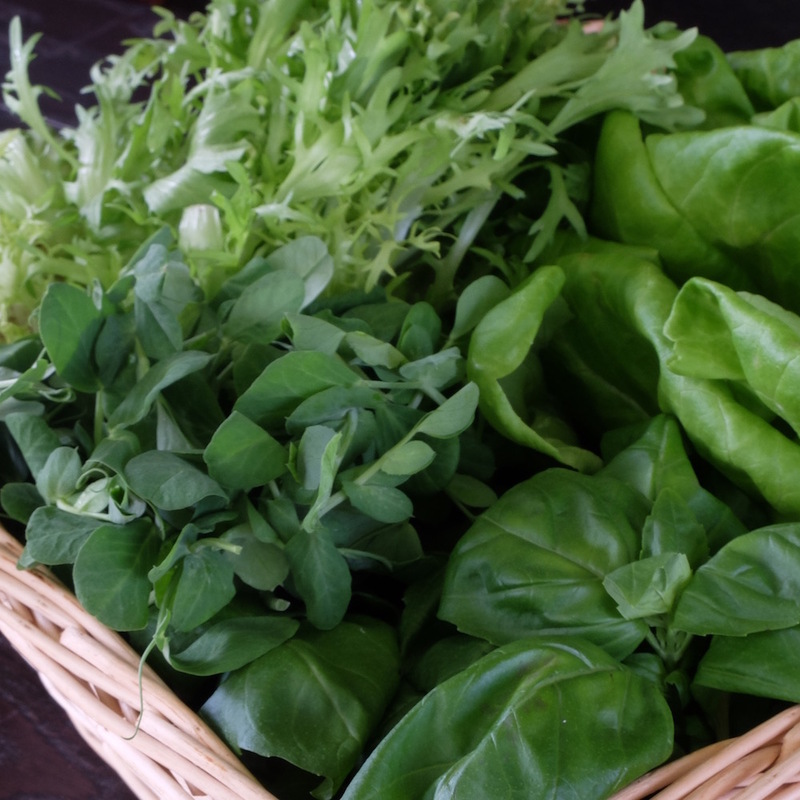 Clockwise, a basket of greenhouse-grown hydroponic frisee, butter lettuce, basil, and pea sprouts. Poets and grocers would have us believe that springtime is when the world shakes off winter’s chill and blossoms with new life. Images abound of Persephone, the goddess of spring growth, leaving her underworld home, a basket of vernal freshness draped over her arm. But the spring season start is usually much colder than autumn, so fresh-market vegetative offerings are typically viridescent rather than verdant. This isn't to say that one can't find lovely fresh produce at the store. Thanks to advances in modern greenhouse growing, an abundance of locally-grown early season greens and hothouse veggies can be acquired with regularity. Persephone brings to mind a different sort of goddess, one of culinary interest. 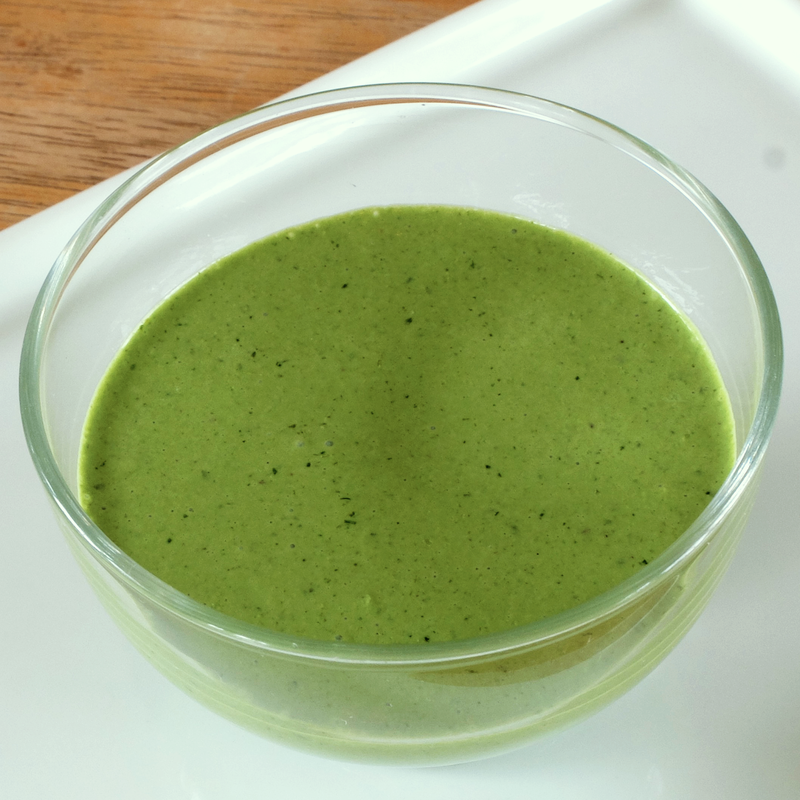 Green Goddess dressing was created in the early 1920s at the Palace Hotel in San Francisco for an event honoring actor George Arliss, who starred in the hit play, silent film, and talkie version of The Green Goddess. Written in 1921 by veteran drama critic William Archer, The Green Goddess tells a melodramatic tale of civil unrest, despotic rulers, hostages, reprisal killings, and hatred of the West. The titular goddess is a device rather than a deity, the moniker referring to another type of green idol: good old-fashioned envy. An airplane carrying British citizens Dr. Basil Traherne, Major Anthony Crespin and his wife, Lucilla crashes in the kingdom of Rukh. The Rajah, equal parts sophisticatedly European and culturally Eastern, entertains his guests lavishly, and then later condemns them to death to appease his superstitious, vengeance-seeking subjects. Of course, the Rajah is taken with beautiful, sweet Lucilla, so he spends quite a bit of time trying to win her over from her philandering, booze-loving husband. Lucilla shares a mutual love interest with Basil, a fact revealed in front of the Green Goddess statue moments before the pair are to meet their doom. Lucilla agrees to marry the Rajah in order to save Basil, but fortunately for all, British aviators arrive and save the day before any distasteful nuptials can occur. Deposed, the Rajah consoles himself over losing Lucilla, commenting, "She'd probably have been a damned nuisance." 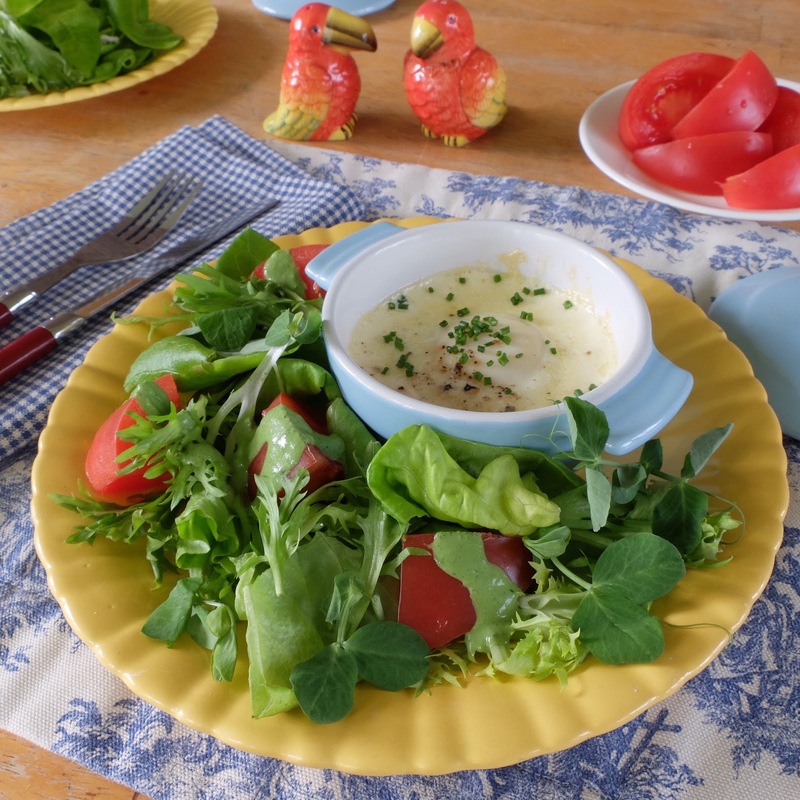 Fortunately for us, the namesake salad dressing is a blessed charmer, a bit of pleasantry which can be pulled together in less than 10 minutes. An irresistible combination of sweet-tasting pea sprouts and spicy basil with a pleasant tang, this creamy dressing is equally as delicious on mild butter lettuce as it is on bitter frisee. 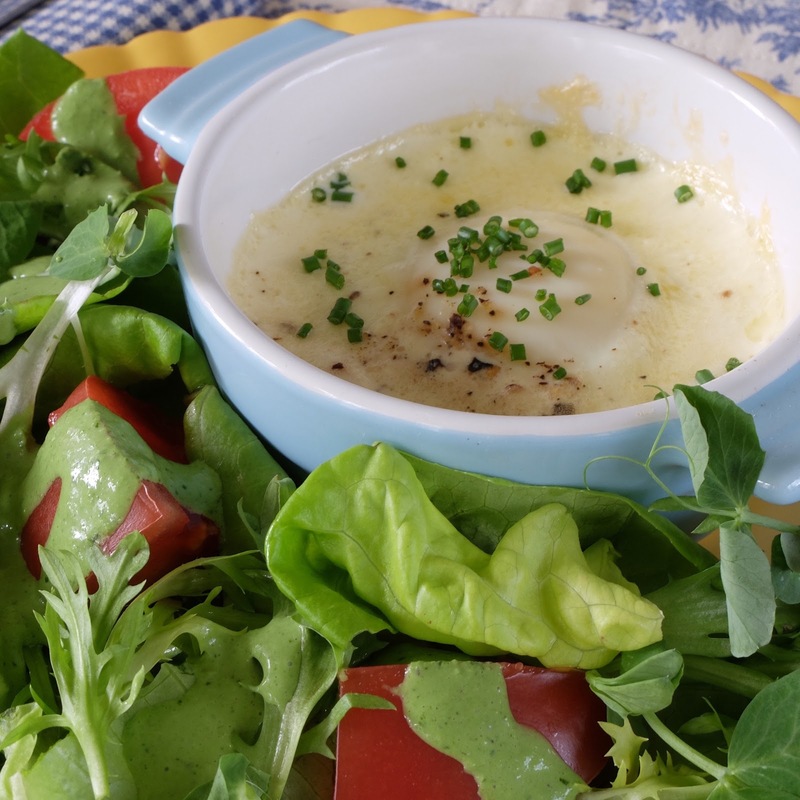 Drizzle some over a baked egg, poached fish or boiled potatoes. Or try it as a dip with fresh veggies. Place all of the ingredients except for the sour cream in a blender and blend until smooth, scraping down the sides of the blender with a rubber spatula, as needed. Add the sour cream and process just until blended. Taste and season with additional salt and pepper as needed. If not using immediately, refrigerate the dressing, covered tightly, until ready to serve. 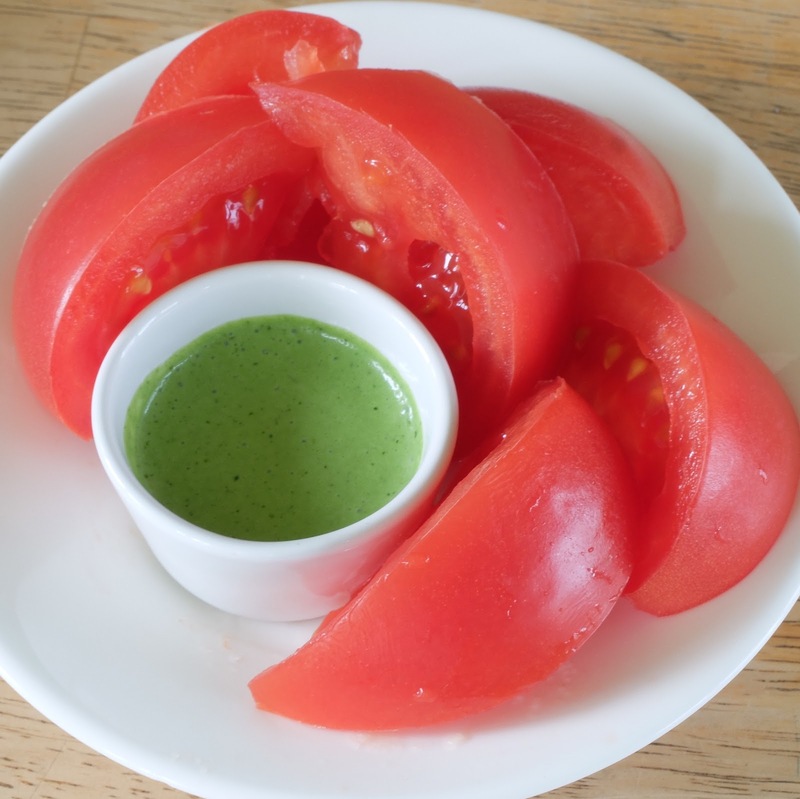 Toss frisee, butter lettuce, pea tendrils, and tomatoes, drizzle with Basil-Pea Green Goddess dressing. Serve alongside a baked cream egg. A little afternoon snack. Healthy, easy, and tasty!